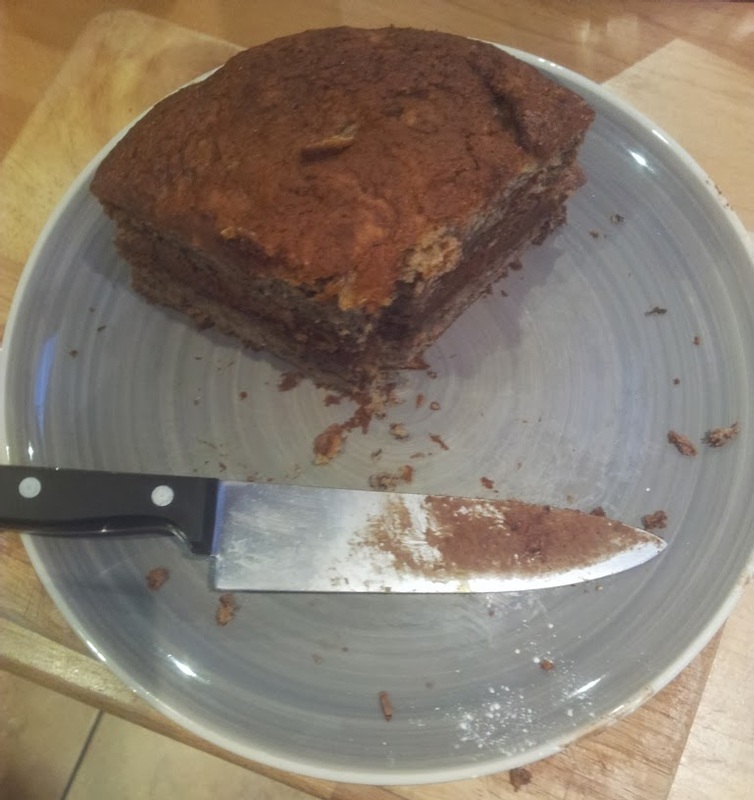 Collection: The End of the Great Banana Bread Cake! So I got inspired earlier this week and when I say inspired I just mean I really, really craved a Victoria sponge type dessert. Luckily we weren't able to keep up with our weekly, enough to possibly have a pet monkey, amount of bananas last week so I got to make a banana bread Victoria sponge style cake! 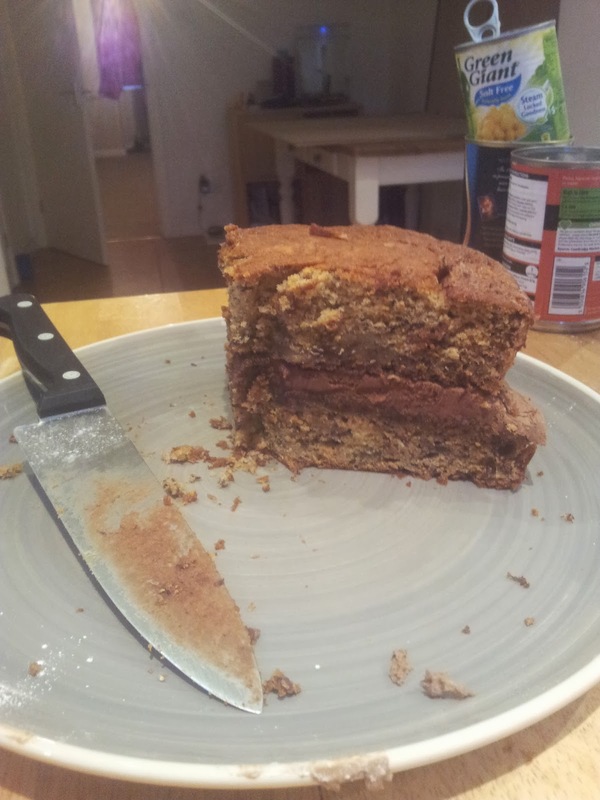 I used this recipe for the banana bread because I find bbc soooooo reliable, it pretty much guarantees a good dessert. I never really know what the buttermilk does, why can't yogurt do? I might have too look that up! I always mash my banana in the bowl to save washing up but maybe I should have done them separately and coated them in flour as that stops things sinking and my banana sunk to the bottom a little but it was delicious anyway. I separated it into two cake tins to make the cake and started with an oven temp of 160 because I have a fan and 40 minutes for a guestimate and it was pretty spot on. For my filling I made a coffee and chocolate butter icing. I use double the amount of icing sugar to butter for all my butter icings so in this case I used 100g butter and 200g icing sugar as well as two teaspoons cocoa powder, all sieved. It totally makes a difference, trust me! Once all mixed in I put two teaspoons of coffee into a splash of milk and microwaved for 20 sec to get the coffee to dissolve then I added three tsps to the butter sugar mixture. I wanted both a coffee taste and for the icing to get lovely and light so keep adding the milk to the icing and tasting until its right for you. If you don't want a coffee taste just add just cold milk to get the correct texture. So I forgot to take photos of the finished article, think I was a little bit too desperate to tuck in but here are the last few slices, sorry!